Did you know that our skin is our largest organ? It works hard every day to protect our bodies from harmful elements. Good skin health is tantamount to maintaining lasting beauty and optimal health and wellness. Having good skin health also plays very well with the outcome of aesthetic procedures. When your skin is in good health your epidermal organ is able to heal better and become stronger. You look fresher and have a radiant glow. For the most outstanding results, Enhance® offers HydraFacial: The holy grail of facials. This rare treatment is more than a spa facial, but less than a laser treatment, and requires no downtime. Its payoff is apparent right away. It can be done on anyone of any age. It can improve texture and tone and even help acne conditions without any residual irritation or peeling. Perhaps the most sought-after effect is the instant post-treatment glow that is perfect when preparing for an important event. 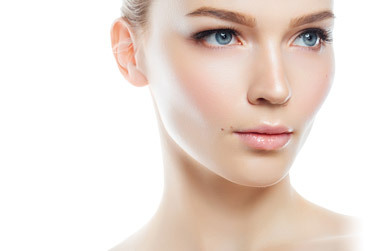 There are 4 steps in the HydraFacial process: cleansing, exfoliation, extraction and hydration. During the cleansing and exfoliation process, our esthetician uses a small deplaning tool that opens up pores and sweeps the uppermost debris. During the extraction process, the esthetician uses a patented vortex nozzle to clear your pores while infusing them with nutrients and acne-fighting aids. Lastly, for the hydration process, the esthetician uses a vortex-fusion tool that infuses antioxidants and collagen-rich serums, causing your tissue to regenerate and hydrate. The HyrdaFacial treatment is completely customizable. For acne concerns, we offer a booster to clear breakouts. For fine lines and wrinkles, there is a dermabuilder or growth factor to regenerate cells and smooth the skin. These particular boosters are especially useful for anyone hesitant to try injectables. For concerns with are discoloration, we offer a brightening booster to improve and even skin tone and lighten dark spots. Depending on your skin type we finish off the treatment with a 10-minute L.E.D. session to amplify the positive effects of your treatment. You will be absolutely glowing! A gentle acid peel that helps to loosen dirt and debris from pores with absolutely no irritation. Painless extractions using vortex suction to clean out impurities from deep in your pores. Hydrating antioxidants and hyaluronic acid, vortex-used to nourish and protect. This amazing 40-minute spa therapy skin treatment uses our four-step process, specially formulated with medical technology. Essential protection to help maintain and protect your results. Our esthetician begins with a deep cleanse with natural enzymes to break up dead skin cells to help soften pores for gentle, thorough extractions. The esthetician then performs a gentle lymphatic drainage massage using light suction around the lymph nodes to create blood flow. This is extremely relaxing—most patients are so relaxed they fall asleep. This treatment can help counteract the impairment of lymph drainage experienced after surgery or during pregnancy. This is also a great treatment for anyone prone to bad acne or individuals who travel frequently. After a treatment, you will appear brighter and less puffy and congested. Britenol Skin Brightening for lightening of hyperpigmentation in combination with HydraFacial Treatment. 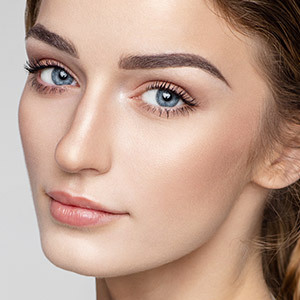 CTGF- Connective Tissue Growth Factor Facial to stimulate collagen and elastin and refine texture and tone of skin in combination with HydraFacial treatment. Combination of glycolic and salicylic acid. Targets dead skin cells that can mix with sebum to produce an inflamed blemish. Works to reduce acne bacteria from the skin and clear clogged pores to address active acne and prevent future breakouts Combination of glycolic and salicylic acid. Add to the four-step HydraFacial with customized Enzyme Mask Skin Revision Treatment. These two treatments combined will strengthen the structural integrity of your skin to create a healthy environment for the cells to thrive in. A natural exfoliator and antioxidant, this mask brightens, smooths, and hydrates skin using algae and other active ingredients. Add to the any HydraFacial plus facial lymphatic and LED red, blue and green light combo. Best suited for oily/acne prone. Deep pore cleansing, exfoliation, extractions, custom- blended masque focusing on restoring the acne prone skin’s balance. If you’re considering a HydraFacial treatment, get in touch with our well-trained, professional staff to learn more. Get started on your transformation. Contact us today by using a link below or call 310.271.5954.